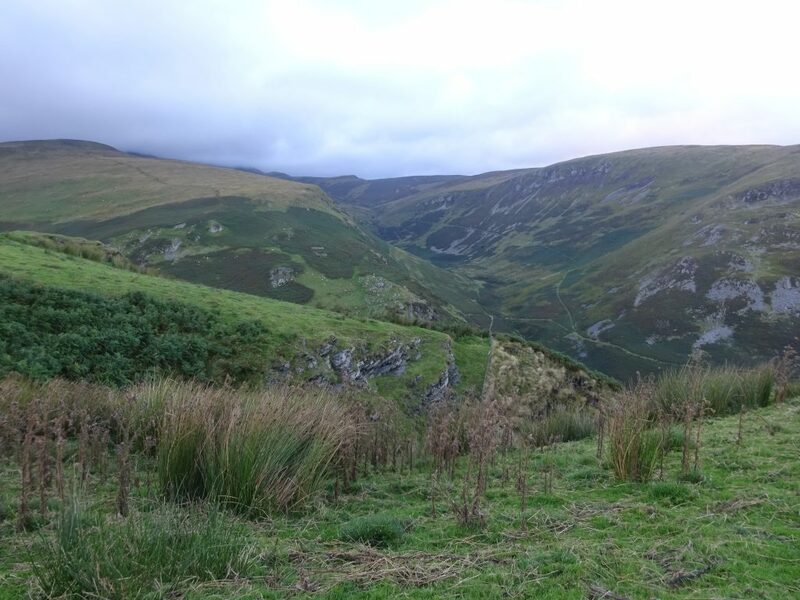 The Central Berwyn Mountains: Volcanic Lavas and Ash Layers in the Upper Rhaeadr Valley. Photo 15 (above). The beautiful cascade of Pistyll Rhaeadr (right background) is the highest waterfall in Wales at over 70m high. It is formed as the stream above the falls crosses the outcropping layers of the Godor, and particularly the Gwern Feifod Tuffs; thick, blocky, resistant volcanic ashes which were deposited locally, during ongoing deposition of the lower part of the Llangynog Formation mudstones, by volcanoes active at this time in the Ordovician Period. They are only exposed here in this, ‘deeper’ central part of the Berwyn Dome structure because uplift of the dome is greatest in this area, and down cutting of these deep valleys, by both river and glacial erosion has also occurred to greater depths than in neighbouring parts of the Berwyn Dome structure. Evidence from geological mapping by the British Geological Survey also suggests that the location, orientation and erosion of these valleys may have been guided by the location of several NW-SE oriented faults, probably created by fracturing of the rocks during uplift of the Berwyn Dome structure (see additional explanatory material on the Geoscience Wales website, at: www.geoscience-wales.co.uk). Photo 16 (above). 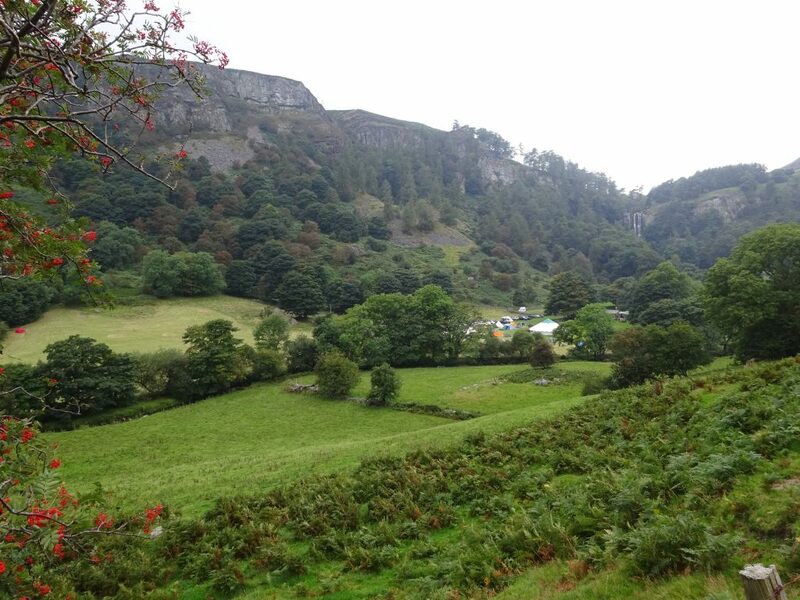 Both the Godor and Gwern Feifod Tuffs can be clearly seen forming sub-horizontal cliff bands in the upper Rhaeadr Valley, above Pistyll Rhaeadr waterfall. However, they also appear to dip to the west or northwest slightly here, as we are approaching the NW slope of the Berwyn Dome structure in this area.